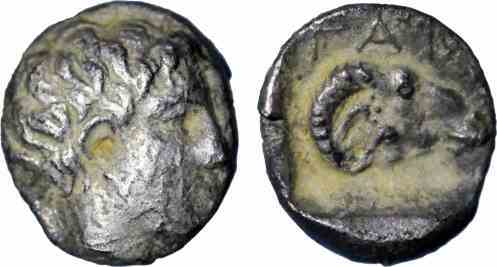 Silver hemiobol, 6mm, 0.45gm, issued c. 400 BC. Obv: Young male head right. Rev: Rams head, ΓAP above.